Welcome to the first ever installment of Reclaiming History, an ongoing series where the Comics Cube! tries to balance out what the history books say and what actually happened! Click here for the archive! Today, we reclaim history in favor of the late, great Bill Finger, whom the Comics Cube! recognizes as the actual creator of Batman! What's that, you say? Everyone knows that Bob Kane created Batman? Yes, that's what everyone knows, and if I worked for DC Comics or published a Batman story, I would have to credit Bob Kane as the sole creator of Batman, which is a damn shame and a social sin, because the truth is that Bob Kane would have killed Batman if left to his own devices. Bill Finger is the man primarily responsible for Batman and his success, and the tragedy of it all is that he will never get the credit he deserves for it, ever. The company will never recognize it, because it is legally mandated that Bob Kane gets a sole byline for every single Batman product, ever. I'm sorry, but what the hell is that thing? Does he look particularly batlike to you? He looks like he's wearing chainmail. Most importantly, he looks like the type of character that not only would have been forgotten by the end of the Golden Age, but also that he wouldn't even be well-liked in the Golden Age. According to Jim Steranko's History of Comics, those tights are red. Now, isn't that much better? And wouldn't, oh, I dunno, 71 years of success agree with me? Yes, yes it does. So not only does Bill Finger, I'm sorry, create Batman's look; he also comes up with the name Bruce Wayne and the idea that Batman is a scientific detective! Under Kane's pen, Batman was just going to be yet another rich man who was a vigilante at night. Gee, I wonder how many darts I'd have to throw on a poster of Golden Age heroes who fit that description. Hell, even Mr. Terrific in his earnest lameness is cooler than Bob Kane's "Batman". 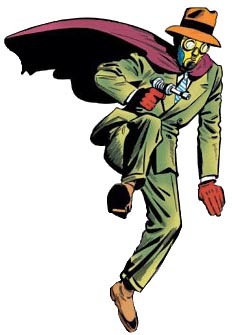 Oh, wait, look, here's the Sandman, another rich guy by day, vigilante by night! 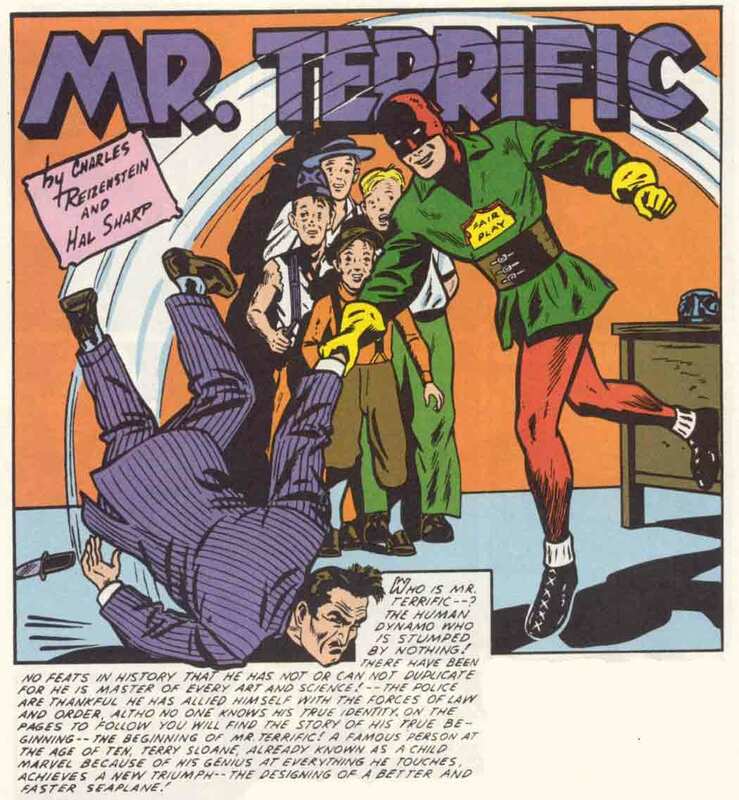 And how could we forget the pulp heroes? Here's Zorro! 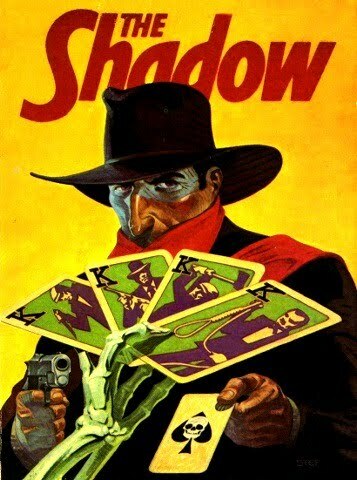 And, of course, the Shadow! So basically, Bob Kane wouldn't have even made "Batman" a generic character - he would have made him too lame to even be generic. 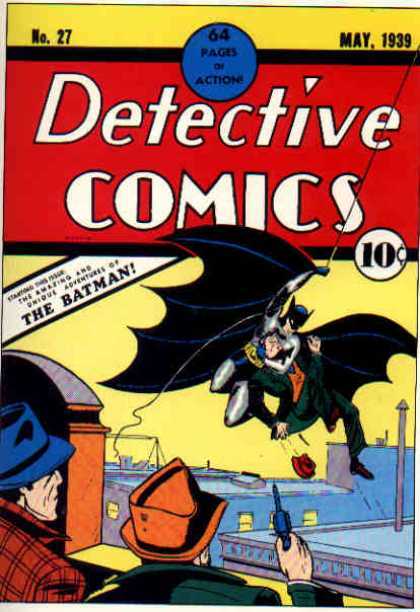 Bill Finger saved the visual aspect of Batman, and then he proceeded to write a bunch of Batman's earliest adventures. 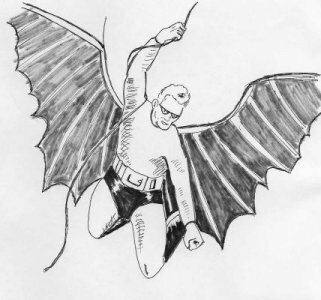 Another writer, Gardner Fox, came up with the Batarang, the Bat-plane/Bat-gyro, and, purportedly, the utility belt (though I'm willing to give that last one to Kane, given his original sketch), and Finger came up with the Batcave, the Batmobile, and Gotham City. Bob Kane did indeed draw the early Batman stories, which no one disputes. But wait, did he "draw" or "trace"? For that information, we'll turn to Robby Reed, at Dial B for Blog. Yeah, I'm going with "traced." That example is just one of many, and there is a good amount of evidence that Bob Kane was a swipe artist that puts Rob Liefeld to shame. And actually, Finger's not off the hook either - as the Professor pointed out before, many of the original Batman stories were direct swipes of The Shadow stories, including the first-ever Batman story. So basically, in the entire first Batman stories, if the stories weren't original, and the actual art wasn't original, what was? That's right. The costume and the trappings - and Bill Finger was the one most responsible for it. Not Bob Kane. Of course, Bob Kane doesn't acknowledge this - like a shrewd businessman, he quickly signed away all rights to Batman to DC in exchange for monetary compensation on every Batman product ever and a solitary byline. No one else can share this byline with him, and in fact, Jerry Robinson (who is like Bill Finger as it relates to the Joker, in that it's yet another thing where Bob Kane decides to take the credit) says, "I felt that I was part of a team. Unfortunately Bob did not feel that way, most of all with Bill. He should have credited Bill as co-creator, because I know; I was there. The Joker was my creation, and Bill wrote the first Joker story from my concept. Bill created all of the other characters... Penguin, Riddler, Catwoman. He was very innovative. The slogans, the Dynamic Duo and Gotham City -- it was all Bill Finger." (Credit: Dial B for Blog) By all accounts, Finger also came up with the "Dark Knight" moniker. And those gigantic props that were a trademark of early Batman stories? Finger came up with those too. So basically, Bill Finger slaved away on the character you all know and you all love - the character that you read every week in comics, that you've seen in so many successful cartoons, that you've seen in many successful movies - while living on a paycheck and dying in obscurity and poverty, only to be given credit when the mountain of evidence against Kane was insurmountable. 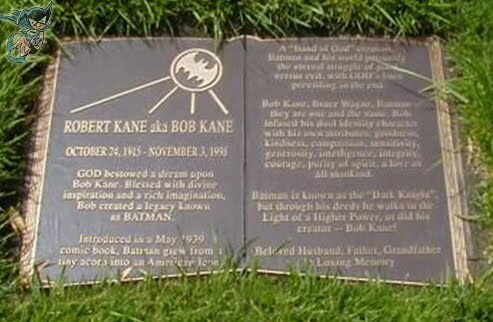 Meanwhile, Bob Kane raked in millions and millions for all of Bill Finger's work, and on his grave, he's celebrated for having walked in the light of a higher power. “Robert Kane aka Bob Kane -- GOD bestowed a dream upon Bob Kane, Blessed with divine inspiration and a rich imagination, Bob created a legacy known as BATMAN. Introduced in a May 1939 comic book, Batman grew from a tiny acorn into an American Icon. A ‘Hand of God’ creation, Batman and his world personify the eternal struggle of good versus evil, with GOD's laws prevailing in the end. Bob Kane, Bruce Wayne, Batman -- they are one and the same. Bob infused his dual identity character with his own attributes: goodness, kindness, compassion, sensitivity, generosity, intelligence, integrity, courage, purity of spirit, a love of all mankind. Batman is known as the ‘Dark Knight,’ but through his deeds he walks in the light of a higher power, as did his creator -- Bob Kane!" 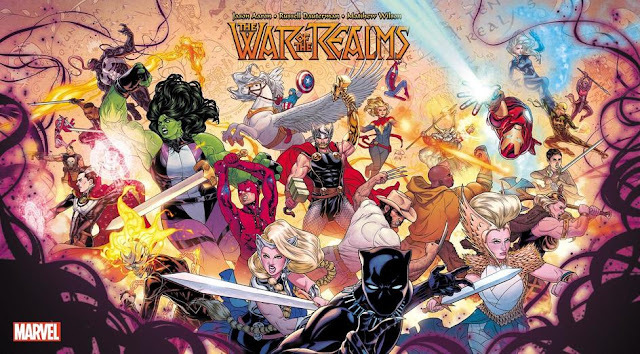 You know, I talk on this blog a lot about the injustices done in the comics industry. There's the fact that Superman's creators, Jerry Siegel and Joe Shuster, lived in poverty after DC bought Superman from them. There's all the problems Gene Colan is having now that could have all been avoided if the corporations were kind enough to recognize his work, and there's the issue with Jack Kirby's heirs and their want of recognition for the stuff Kirby did, and of course I talk a whole awful lot about how Steve Ditko deserves most of the credit for Spider-Man. There's, of course, all the recent crap surrounding Alan Moore and Watchmen. And you know, it's one thing for a corporation to screw the artists out of their rightful credit - it's dirty, it's measly, and it's ridiculous, but you expect it, because corporations are about profit-maximization, and you know they're dirty. But when an artist screws another fellow artist out of his proper credit? That's something else. It's a whole different level of baseness and ego-tripping. Even Stan Lee conceded eventually that Jack Kirby and Steve Ditko were the rightful co-creators of the Marvel Universe. All Kane gave Finger eventually - after years of hiding behind false excuses like "I was inspired by Zorro" - was the acknowledgment that Finger did a lot of work on Batman. No co-creator credits, nothing. Bill Finger did eventually get credit for creating Alan Scott, the original Green Lantern, with Martin Nodell, which may explain why Alan Scott also operates in Gotham City, but Green Lantern, famous as he is, isn't Batman or anywhere near close to him. 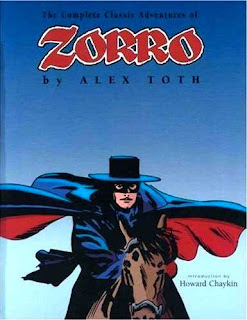 The Will Eisner Awards inducted Bill Finger into their Hall of Fame in 1999, the same year they inducted Jack Cole, Murphy Anderson, Art Spiegelman, Mac Raboy, and Gardner Fox (another guy Kane didn't give credit to), among others. And in 2005, the Eisner Awards established the Bill Finger Award for Excellence in Comic Book Writing, to celebrate, each year, two comic book writers, one alive and one deceased, who didn't get the credit they deserved. Perhaps the most telling thing about Bill Finger's career is the fact that "I don't want to get Fingered," has become a quotable quote for any creator to tell an editor, when he feels as if he's not getting due credit. 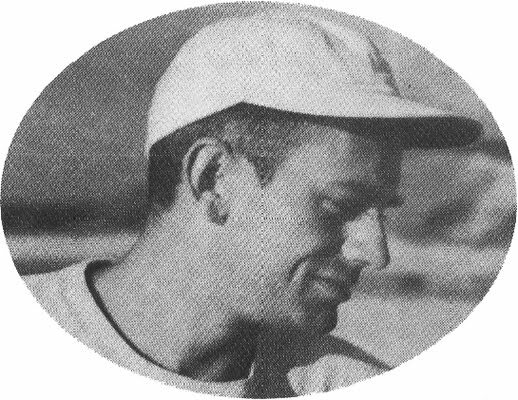 In an industry where the higher-ups and some artists seem to have the exact opposite values of those of the characters they espouse, Bill Finger did his job humbly and created stories to thrill us for a lifetime. He never asked for the credit that he didn't get, and he must have believed that he would have gotten it eventually. He did work for us, the fans, and even if he'll never get the credit he deserves because legal mandate prohibits it so, we fans, we who love the character of Batman and all the values he embodies, should know the truth. Long live Bill Finger, the real creator of Batman. We definitely enjoyed your article on Bill Finger and his remarkable contributions. Looks like there are a lot of insightful articles on your site and we'll check them out as well. Join us at the Bill Finger Appreciation Group on Facebook... we're doing our best to spread the word about his work and how it still affects comics today. Thank you very much. I'm already actually a member of that group, and I'll gladly post this article on it. I wonder why this kind of information barely makes it to the general audience. Such a shame for one artist to be hoodwinking another, hogging the credit for work he didn't accomplish. And yes, Bob Kane's original concept? As appealing as guano, pun intended. DC isn't allowed to credit Finger as "co-creator." In an article they did in 1988, highlighting the "50 People Who Made DC Successful," they came close by just not calling either of them "co-creator." But you know, when every fricking Batman product like the movies and TV shows all say "Batman created by Bob Kane," such an article really does nothing. Jerry Robinson and Bill Finger created the Joker; Bill Finger gets credit for the Riddler. Of course, since Kane "created" Batman, everyone thinks he created everything associated with him. A few years ago, I met Jerry Robinson at a convention, and stuck out my hand to say "Mr. Robinson, I currently write and draw Batman, and I want to thank you for all the things you created that I get to work on..." and he said to me "Then where's my check?" and he didn't shake my hand. I'm told, in general, that Jerry's not a bitter man, and I must have caught him on a bad day, but I can certainly see his point. Also recently, I hosted a "RED HOOD" movie screening, and made a point to tell the press that Bob Kane did NOT create Batman, that it was Bill Finger, and that now I don't work for DC, I'm happy to shout that at the top of my lungs in front of anyone in interviews. I think the screwing the Finger took was far worse than the screwing that Siegel and Shuster took, because Finger had to sit back and watch as Kane got RICH off his work. At least Siegel and Shuster suffered as a pair. I thought Dial B for Blog was shut down. That article about Kane swiping the art from a specific big little book called "GANGBUSTERS" was an eye opener when I first read it. I said to friends at the time that I wanted to dig Bob Kane up so I could piss on his corpse. I think Kane is one of the great villains of our industry and his name should always be followed by spitting on the ground. I could definitely understand Jerry Robinson being pissed about the whole mess, and I think it's really telling that Kane would credit Finger as the co-creator of the Joker, under the condition that he'd still be taking credit away from someone else. I agree with the Siegel and Shuster comparison - and at least Siegel and Shuster eventually got championed by Neal Adams. Finger just went under the radar all the way till he died. Every now and then I think Dial B for Blog is shut down, but then I spot something new in it anyway. It could just be that there are way too many posts in there for me to get through all of them. I'll bet Kane's epitaph makes you want to dig up his corpse and piss on it even more. Kane was a reprehensible human being, by all accounts, and I'll never give him the credit - for anything - here. Maybe Robin. But even then I'm not sure. Keep talking about Bill Finger! I think that ridiculous gravestone says it all about Kane. What an ego! Hopefully in the far, far, future, when Batman is cultural history rather than pop culture, Finger will be remebered rather than Kane. I actually realized that the gravestone isn't all that legible. I've edited the post with the transcript, courtesy of DIAL B FOR BLOG. Thank you for posting the truth about Mr. Bill Finger's contributions to the Batman story. People like Mr. Bob Kane who portray themselves as God's gift to mankind while hurting their co-workers and their families, have an eternity to look back at how they treated their neighbors while they were on earth and lament themselves in the flames of hell. Thankfully in 2015 at long last Bill is getting proper credit for his contributions to the creation of the character. DC has made a deal with the Finger family & starting in the new 52 Detective Comics #27 (appropriately), the second season of Gotham & Batman v Superman: Dawn of Justice Bill will be credited right there alongside Bob Kane. Not an accurate or fair article. Whatever changesd Finger contributed, at the end of the day it was kane's ideas. We can say "Finger improved Batman", we can say "Finger made Batman great", but we cannot say "Finger created Batman" because that is simply not true. I realize it's fun to think of oneself as being an iconoclast and purveyor or hidden truths, etc...., but two wrongs do not make a right. Simply thinking up a name isn't the same as creating it. Bill Finger put ideas to paper. He created Batman. No, Kane was the artist who also drew the first sketch, as you yourself noted. It doesn't matter whether yo like it or not, whether you think it would have failed or not (pure conjecture; we don't know whether it would have failed or not). I'll out it simply: No Kane=No Batman; No Finger=(Maybe) No Successful Batman. Kane's first sketch had no resemblance to the actual Batman that made his way to the actual printed page. Bill Finger created the design that made it to the printed page. Bill Finger thought up all of the elements that made Batman, save for the name. Bill Finger created Batman. Again, no Kane no Batman. That's the real definition of creator. So if Pat had an idea for a sculpture named "Daydreams," drew an initial sketch of it,and then Sam actually sculpted it and changed everything about the idea as he went along, keeping only the name,by your definition, Pat is the creator, yes? Bill wasn't an artist, so even if he suggested that Kane add the cowl and make the wings a cape, it was still Bob who drew them. Bill didn't draw anything. Here's the thing, Bob Kane was a teenager when he created Batman, it was Mort who suggested he come up with another character, it was he who came up with the Batman concept. Finger revised the idea, or should I say together they revised it. Even Finger shouldn't get a whole lot of praise for his contributions, because everything he contributed to the Batman he stole from the Shadow. We have no idea, just how successful Batman would have been had the original design been the only one used. We only know how successful he will become thanks to 75+ years of history behind it.